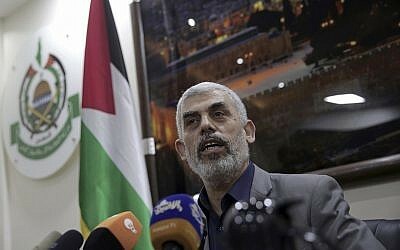 The ONLY ONES To Blame For The Gaza Deaths And Injuries Are The Hamas Leaders! 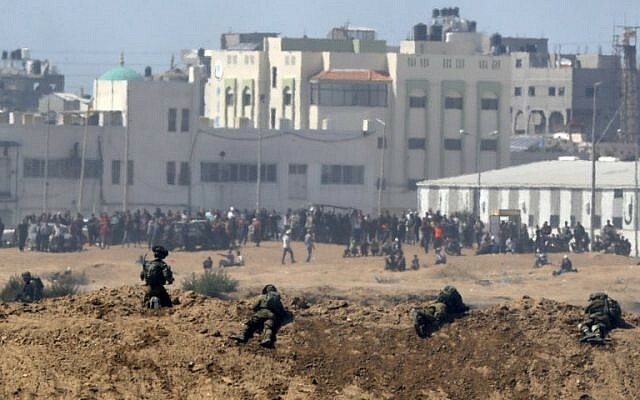 Over 100 Palestinians, including two journalists, have been killed by the IDF since the border clashes began on March 30, according to the Hamas-run Gaza health ministry, while there has been just one Israeli casualty reported — an IDF soldier, who was lightly wounded by a rock. 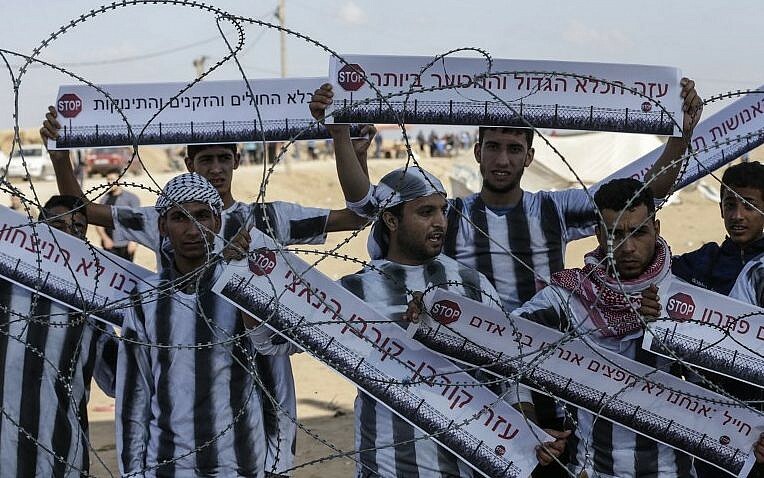 During these weekly riots, most of the demonstrators keep away from the security fence, staying in tents a few hundred meters back, but there are thousands who approach the border, hurling rocks and Molotov cocktails at Israeli soldiers on the other side or damaging the security fences and trying to break through them. So-called “terror kites” laden with containers of burning fuel were also flown into Israel, setting fire to hundreds of dunams of farmland and fields. In response, Israeli forces have used tear gas, rubber bullets and live rounds, which were aimed at the legs unless there was a direct, immediate threat to life, in which case shots were aimed at the torso. The army maintains that snipers adhered to strict rules of engagement and required approval from a commander in order to shoot. Israeli human rights groups have questioned the legality of the army’s rules of engagement, taking the issue to the High Court of Justice, where the case has yet to be resolved as of time of writing. Some weeks have also seen direct clashes between armed Palestinians and Israeli forces. Though a coalition of various organizations in Gaza proposed the march, the Hamas terror group, which has ruled the coastal enclave since taking it over in 2007 in a violent coup, quickly coopted it — providing free buses to the border, offering money to those who were injured, and sending its operatives to the fences disguised as civilians. “The idea was ours, but the real situation is another story,” Ahmad Abu Artema, a Palestinian activist generally credited with starting the march, told the Financial Times newspaper last month, after the first riots. While Artema and the original organizers maintain that the protests were meant to be nonviolent, Hamas leaders made it clear that this was not their aim. 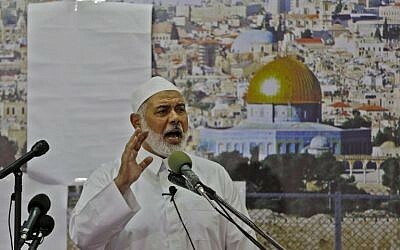 “We will tear down their border and tear out their hearts from their bodies,” Yahya Sinwar, Hamas’s chief in Gaza, shouted during a rally on April 6. At least one-fifth of the people killed were actively engaged in armed clashes with IDF troops — either using firearms or explosives — when they were shot. 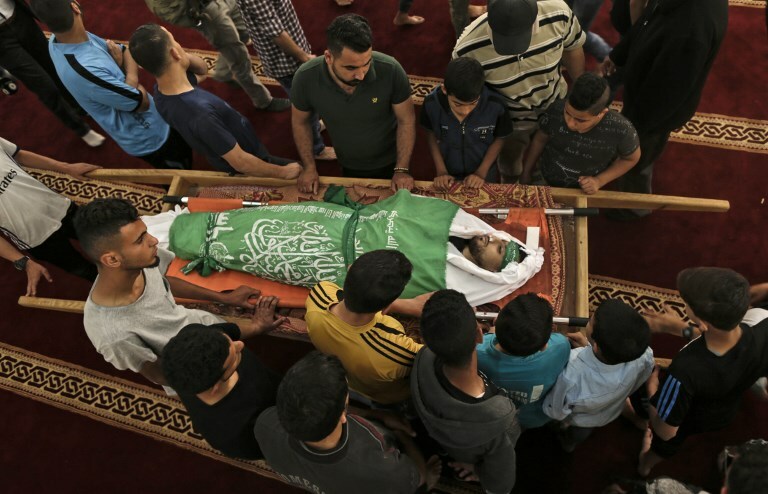 According to the army, a number of Palestinians were also shot dead as they tried to plant improvised explosive devices along the security fence, though the IDF would not provide an exact figure. But the majority of those killed appeared to be unintended fatalities, who died from what were meant to be nonlethal wounds to the legs or were struck by bullets that missed their target. While this disparity in the number of casualties between the two sides is the result of the military actions to prevent infiltrations on the border, and not a lack of deadly intent by Hamas and other terrorist groups in the Strip, it nevertheless exists. And though the vast majority of the Palestinians killed were identified as members of terrorist organizations, either by the IDF or by the groups themselves, this information came out only after the fact. Similarly, the fuller story of one of the more enduring images of the violence — the funeral of an eight-month old Gaza baby purportedly killed after inhaling tear gas — emerged only after hours of headlines and TV news reports last Tuesday; her family acknowledged she had a congenital heart disease, which a Gaza doctor indicated to the Associated Press was the more likely cause of her death. “Bloodbath” and “massacre” appeared in headlines in major American and European newspapers on articles about Monday’s border clashes. “Hamas can’t cut through the fence, so it wants to get people killed in order to delegitimize Israel. 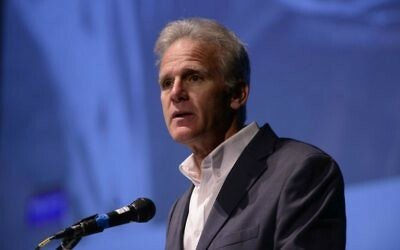 And the press plays into that, the press enables Hamas to win,” Oren said in an interview Friday. In the aftermath of Monday’s border riots, Israel came in for sharp criticism, not only in press reports, but also in international fora. A day after the clashes, the United Nations Security Council held an emergency session on the border violence and was only blocked from releasing a statement against the “killing of Palestinian civilians exercising their right to peaceful protest” by a United States veto. 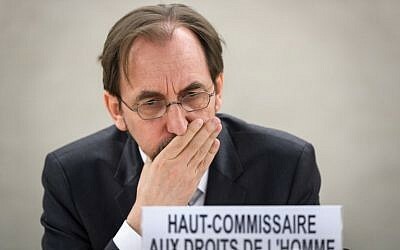 On Friday, the UN Human Rights Council approved an independent inquiry into the deaths of the Palestinians on the border, with only the US and Australia voting against it. The Palestinian Authority also contacted the International Criminal Court to investigate Israel for potential war crimes on Monday. 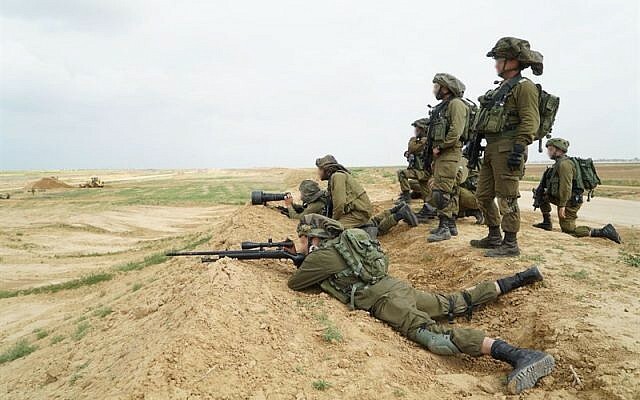 In the aftermath of these blows, some Israeli politicians and officials have looked for someone to blame, and many found it in the IDF Spokesperson’s Unit, which played the central role in Israel’s official public relations efforts surrounding the Gaza border clashes. But others say the army and its spokesperson Ronen Manelis are being used as a “scapegoat,” taking unfair flak for losing an unwinnable battle or, in the view of Oren, absorbing all the guilt for what is actually a deeper, national problem. One of the first to remark on the ostensible public relations failure was Energy Minister Yuval Steinitz, who told Israel Radio there was “criticism that could be heard” regarding the army’s public relations efforts. Criticism of the unit ramped up after the leaking of a phone briefing between the head of the IDF’s international media department, Lt. Col. Jonathan Conricus, and representatives from the American Jewish communities last week, in which the officer said the dramatic images emerging from Gaza of wounded protesters had given Hamas an “overwhelming victory, by knockout” in the fight for public opinion. On Friday, former IDF spokesman and current Labor Party MK Nahman Shai condemned the unit for publicly acknowledging what was already clear to all: that Hamas had won the narrative battle. “Hamas wanted the casualties, Hamas wanted people to die. Hamas wanted the pictures of the wounded and the overflowing hospitals and everything else,” Conricus was recorded as saying. Nothing that Conricus said would be much of a surprise to followers of the Gaza coverage, though he was perhaps more candid than spokespeople are expected to be. The IDF also said in a statement that the recording released by Haaretz was edited and removed important context for his remarks. 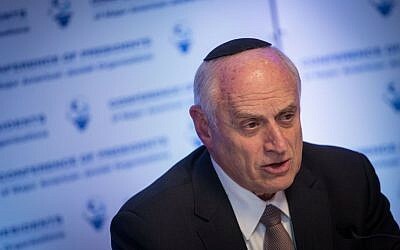 Malcolm Hoenlein, the longtime executive vice chairman of the Conference of Presidents of Major American Jewish Organizations, defended Conricus and his commander Manelis, saying they were being unfairly criticized. “You see them getting knocked in some press reports, and it’s just not understandable,” he said. “They become scapegoats,” Hoenlein said. Hoenlein, who is generally seen as a major figure on Israeli and Jewish issues, described as insurmountable the challenge facing Manelis and Conricus of selling the IDF’s narrative in light of what he regarded as bias in the international media, either against Israel or against US President Donald Trump, whom many blamed for the violence in Gaza over his decision to relocate the US embassy from Tel Aviv to Jerusalem last Monday, the day of the deadliest clashes. “There was a bias that they started out against, which was not based on any facts. You could give the media all the information, but they were out to get [Israel]. Some of it is anti-Trump, some of it is other stuff,” Hoenlein said in a phone interview. “I think they were doing a good job,” he said. In addition to the phone call that was leaked, Conricus and Manelis made several calls to representatives from over 100 American Jewish organizations in order to provide them with information about the army’s Gaza operations and intelligence on Hamas’s efforts, which was passed on to the groups’ members and used in their lobbying efforts. According to Hoenlein, this was an unprecedented level of contact with the IDF Spokesperson’s Unit. This can be seen as both the army taking initiative and other national bodies — the Foreign Ministry, Ministry of Strategic Affairs, Prime Minister’s Office — dropping the ball, which prompted the army to fill the vacuum. “Other parts of the government could take a lesson from them in terms of how responsive they’ve been, how much they try to address our concerns and how available they’ve been for briefings on very short notice,” Hoenlein said. Deputy Minister Oren, who has criticized Israel’s handling of the public relations surrounding the Gaza riots since they started, said IDF Spokesperson Manelis and his unit were being used as a whipping boy, though he too said there was room for improvement. “I feel bad for Ronen. He is being made into a scapegoat for a far, far deeper problem,” the deputy minister said. For instance, Oren noted that the government had not prepared a list of talking points and messages for Israeli diplomats to use in interviews ahead of the first round of demonstrations on March 30, despite having had ample time to do so. “A couple weeks ago, when these riots started on a Friday, people were calling me, saying ‘What are our messages? What are our messages?’ My response was, ‘Wait a minute, we’ve had months to prepare for this, months. And you’re preparing messages now, after the riots? Are we insane?’” Oren said. “I propose we set up a multi-agency body, with powers and budget, of which the IDF Spokesperson’s Unit is a part, but not the crucial part,” said Oren, who as deputy minister of public diplomacy would likely lead such an outfit. While the deputy minister said the real criticism should be focused more on the government’s disinterest in public diplomacy, and not Manelis and the IDF Spokesperson’s Unit, he said there were concrete steps that the army could have taken to better express Israel’s messages. The first was for the spokesperson’s unit to be faster, particularly in distributing visual materials. There is typically a delay, from a few hours to a few days, before the military releases photographs and videos. In the case of images made by army photographers, this is because the materials need to be reviewed and approved up the chain of command before they can be disseminated. In the case of footage from surveillance cameras or other operational equipment, there are also technical stopgaps — meant to prevent sensitive information from being leaked — that can hold up the distribution process. These are issues that do not exist on the Gaza side of the security fence. 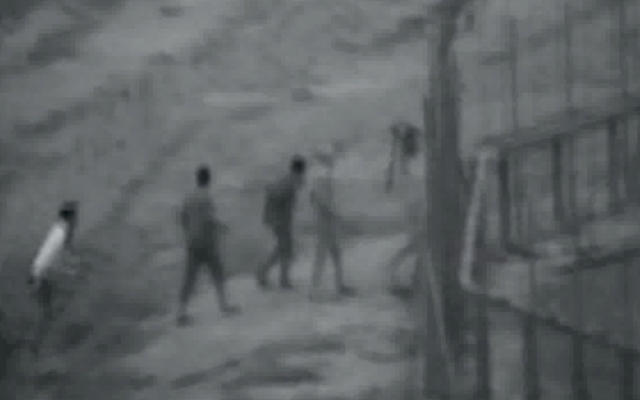 “What I need from the IDF Spokesperson’s Unit is to release pictures in real-time,” Oren said. The second issue, also mentioned in Ben-Yishai’s article, was the army’s refusal to allow reporters to embed with troops along the border or even approach it, with very few exceptions. The military forbade journalists from getting closer than a few hundred meters from the fence during the “March of Return” protests. 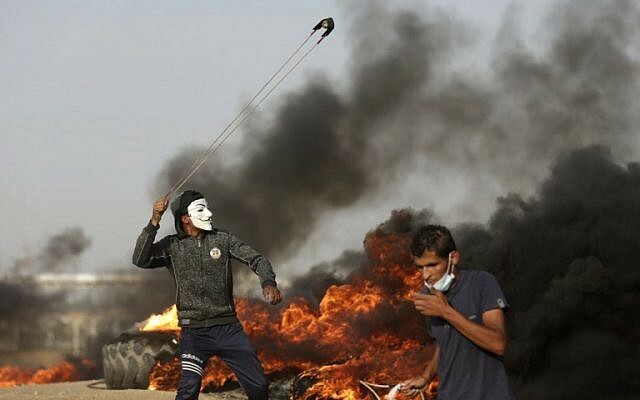 While few Western reporters approached the border from the Gaza side, they were able to speak with participants and photograph the riots. On the Israeli side, the only soldiers who could talk to the press were those farther back, guarding the nearby Israeli communities. They were also technically prohibited from speaking to journalists, though some did so off-record. The IDF said the riots were violent, with participants trying to breach the fence and throwing stones and Molotov cocktails, but refused to allow journalists to see it firsthand. 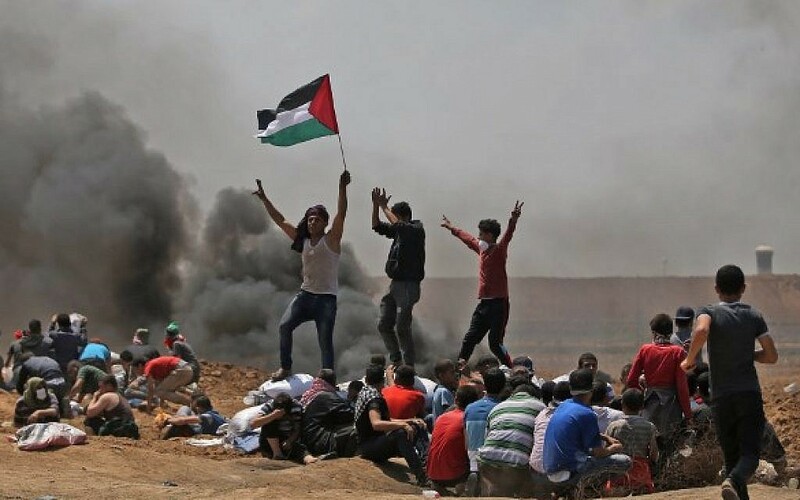 The photographs distributed by the IDF of soldiers along the border also appeared to have been taken in the calm before the riots, before protesters set tires on fire, filling the skies with inky black smoke, and before the army started dropping tear gas, which was regularly blown back into Israel. “You don’t see what it’s like to be an 18-, 19-year-old kid seeing people coming at you and know that if you let a breach of the fence happen, you’ve got 2,000 people armed with knives in Nahal Oz,” Oren said, referring to an Israeli community located less than a kilometer from the Gaza border. “So the only perspective you get is the Palestinians’,” he said. The IDF is generally loath to allow reporters to embed with soldiers during operational activities, though some exceptions have been made over the years, always under a tight watch by spokespeople. This aversion comes, in part, from the last time the military allowed reporters such close contact with army units, during the 2006 Second Lebanon War. Following the conflict, the spokesperson’s unit faced significant criticism for the practice, as some tactical information was accidentally published in the media, along with internal army gossip, according to officers from that time. The military was thus unlikely to alter this policy on its own, and “no one told them” to change it, Oren said. On Monday, Manelis accused the world of “falling for Hamas’s lies,” in an opinion piece published by the Wall Street Journal. He brushed off all criticism of the spokesperson’s unit. “Some of Israel’s greatest friends might have preferred that we had looked better in the media this past week, but between vanity and truth, the IDF always chooses truth,” Manelis wrote. 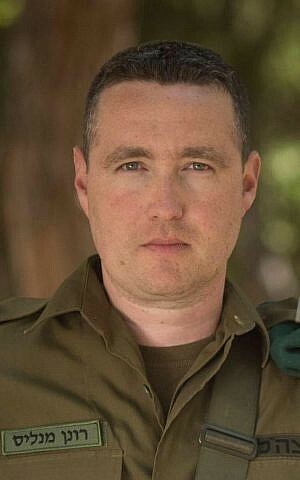 “The IDF will win where it matters — protecting our civilians in the face of terror,” Manelis wrote. This seemed to prove Oren’s central criticism, that the military did not appreciate the importance of garnering — or at least not losing — public opinion, which can ultimately have an impact on the army’s ability to wage war. “We think the primary battleground is the battleground. The primary battleground is not the battleground. 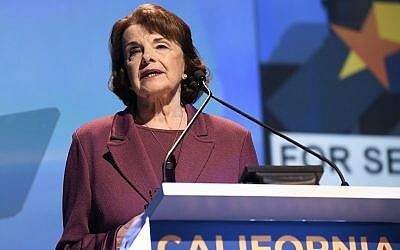 The primary battleground is (US Senator) Dianne Feinstein and the Europeans. And that’s why we’re losing it; we’re not even fighting the right battle,” Oren said, referring to the Democrat lawmaker from California who last week supported an independent United Nations investigation of Israel’s actions on the Gaza border. According to the deputy minister, however, the diplomatic and, potentially, legal fallout from the Gaza border violence will be a “pinprick” compared to what might come from a war with the Hezbollah terrorist group in Lebanon, which has tens of thousands of rockets and missiles stored in and around the homes of Lebanese civilians. “The goal of the rockets — yes, it’s to cause us damage — but the main goal of the rockets is to get us to kill the people in the houses,” Oren said. “Hezbollah and Hamas do not have a military strategy. They have a military tactic that serves a media, a diplomatic and a legal strategy,” he said.